Richard Papenguth Mike Peppe Clarence Pinkston Jim Riley, Sr.
Must have coached swimming at the high school, club, and/or college level for a period of 20 years or more. Should be nominated by a current ASCA member by completing the Hall of Fame application and submitting with current resume indicating criteria met by November 1st. Made a significant contribution to the sport of swimming, community and/or profession. 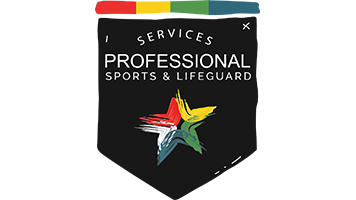 Making a significant contribution to the sport of swimming, community and/or profession. Candidates must be nominated by a current ASCA member by submitting their name to the HOF committee. (All nominations received after May 1st will be held for consideration for the following calendar year) Must submit the HOF application by the above deadline with a current resume indicating the criteria met. The HOF awards committee will screen all applications to determine a working list of candidates and present the list to the ASCA Board of Directors for final approval by January 1st. Upon final approval of the ASCA BOD, the board will select the final inductees by a 75% vote of the BOD for acceptance into the HOF. Each applicant not chosen for induction into the HOF will continue on the list for nomination for a three-year period. After that time the applicant will have to be re-nominated after being off the list for a period of one year. A presentation of all finalists and those accepted into the HOF will be made each year at the ASCA Awards banquet. Each finalist will receive a plaque (1 plaque per nomination) and all Honorees will receive a permanent plaque located in the ASCA office / ISHOF and will be honored on ASCA Online. It is the ASCA plan to induct (4-5) new coaches per year to the ASCA HOF unless applications do not merit that number. All applications must be received by November 1st for eligibility into that years HOF class with current resume indicating which criteria achieved. Review of all applications concluded by: December 15th. Email of all nominations to the ASCA Board of Directors by January 1st. HOF inductee’s chosen and letter sent from ASCA by Jan 15th.